Kato Manufacture released new model 13t angling rough terrain cranes, MR-130Rf / MR-130RfM PREMIUM. It equips a diesel special car exhaust emission regulation conformity engine in 2014. We are a marketplace mainly for secondhand construction machinery, ocean vessel, aircraft, etc.We connect the sellers wanting to sell high quality products, to buyers who want to purchase them. 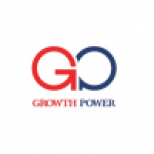 GROWTH POWER supports the sale and purchase of our customers, in hopes of becoming the driving force in the unlimited growth, unlimited possibilities, and unlimited connection of people worldwide, through our marketplace.